HomePod and I were going through a rough patch. It wasn’t a great relationship to begin with, admittedly, but in the beginning there was at least that thrill of attraction; that admiration for the way it could fill a room with ravishing sound. We didn’t do much else together, though, and so we drifted apart. She was kinda messy. For months, we didn’t even talk. But that was until iOS 12 came along and reignited the flame to burn brighter than it had before. It’s been great. It’s too bad it wasn’t like this months ago. 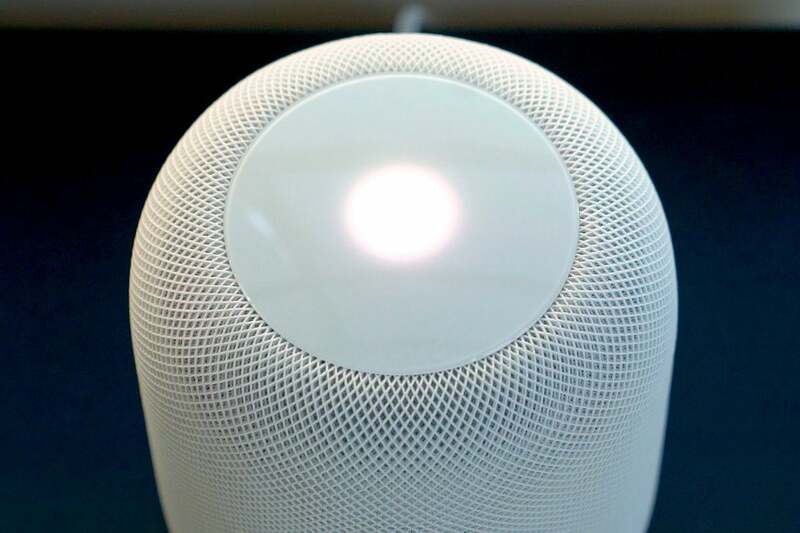 After all, many of us believed at launch that the HomePod’s worst failings could be fixed with a beefy software update; one that would complement the undeniably impressive audio technology with secondary features that were actually, well, useful. I realize this is a (small) exaggeration), but at the start the HomePod was mainly good for playing music, listening to news reports, and setting the occasional timer. And that’s it. Just one week after the latest iOS update, though, it’s becoming an essential part of my morning and evening routines. I’ve used it every day since then, and I’ve realized that I want more of it in my life. And I’m a little surprised that more people aren’t talking about what a difference the patch has made. 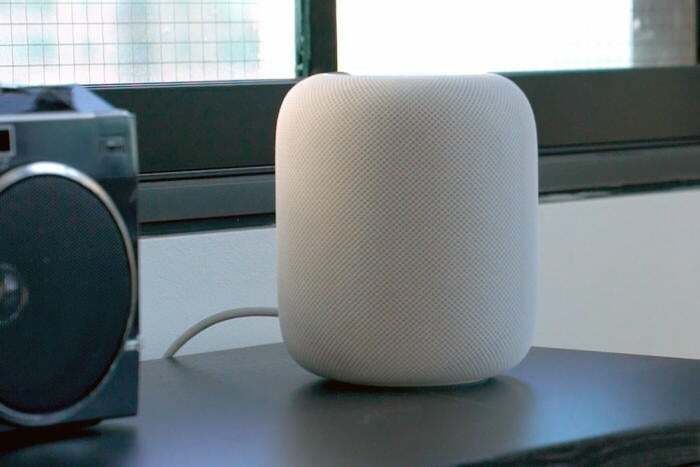 The HomePod has always been a good speaker—but in the past, that’s basically all it was. I turned it on only when I wanted to listen to music after a long day, and I discovered that this didn’t happen as often as that lovely Spike Jonze commercial would have us believe. Now, though, I talk to the HomePod as though it’s as much a member of my household as my roommate thanks to new options like the ability to find my iPhone. "I'm afraid I can't do that, Leif." I’m all too adept at losing my handset in the dark crevasses between my couch cushion and behind my bed, but now I can just ask the HomePod where to find it. It’ll tell me if it’s nearby, and then it’ll ask if I want to ping it. I’ll say yes, the little alarm will resound, and I’ll rush off to rescue it. Before, I’d have to reach for my Apple Watch (or worse, I’d have to log into iCloud), but with HomePod and I can ask where it is straight out of the shower. For that matter, it’s simply more fun for music now because you can have Siri identify songs through lyrics alone. One of my personal favorites: “Hey, Siri, what song has the lyrics, ‘I’d rather be working for a paycheck than be waiting to win the lottery.” And she gets it right: “First Day of My Life” by Bright Eyes. That’s a bit how I felt when beholding this new, better HomePod. Finally, at last, the HomePod can make phone calls. This is one of those features that so painfully, obviously should have been there at launch, but I’m happy enough that it’s here now. These days I loathe talking on the phone with a headset stuck to my ear for more than two minutes, so I typically don’t make calls unless I’m wearing my AirPods (and if I’m feeling particularly lazy, I’ll use my Apple Watch). HomePod, though, now let me chat through the speaker itself. “Hey, Siri,” I’ll say, “call Mom.” And off it goes. Apple was even smart enough to make it so I could hand the call off to my iPhone if needed for clarity or to discuss more sensitive matters. My only real beef is that I have to say “Hey, Siri, hang up” to end the call, which strikes me as rather rude and abrupt. I tried the softer “end the call,” but Siri would have none of it. For that matter, people on the other end do complain that it sounds like I’m talking on a speaker—but, of course, I am. HomePod also lets me keep track of multiple timers now, which has proven more useful than I expected. “Hey Siri, add a timer for ‘laundry’ for 45 minutes” I’ll say, and then maybe I’ll follow it up with “Hey Siri, set a timer for ‘pizza’ for 15 minutes.” Again, off it goes. I like that I can say, “Hey Siri, give me a rundown of all the current timers,” and she’ll do that (and, mind you, it can grow monotonous if there’s a lot of them). If I tell her to clear them all, she will. If I need to cancel a specific one, she does that just as easily. I wish I could say that I’ve gotten a lot of use out of the ability to set up Shortcuts, but so far I haven’t. A lot of us that has to do with the fact that my house isn’t all that “smart” at all. That means I’m locked out of the better Shortcuts I hear about, such as the one where you say. “Hey Siri, good morning,” and the lights flip on, the coffee starts brewing, and your resident android takes the dog for a walk. (Hey, I said I didn’t have much experience with smart homes). The Shortcut I’ve used the most is one that lets me log my weight to the Health app, but I’m a little bummed that it doesn’t appear to log that weight directly to an app like MyFitnessPal. I’m frankly still wrapping my head around Shortcuts (particularly since we didn’t get to test them in the iOS 12 beta), but right now they still feel like a work in progress. All the same, I’m happy that the option is there. And all of this is on top of some other added features you might have missed before iOS 12, such as the ability to add reminders. “Hey, Siri,” I’ll say, “remind me that I need to call that case maker at 3:00 today,” and she will. If you didn't know, HomePod already started supporting the Calendar app a few months ago, so I can simply say, “Hey, Siri, what’s on the calendar for today,” and she’ll rattle off the lists of deadlines and meetings on the immediate horizon. I can even add things to my shedule. All of this, though, is flashy enough that it makes me feel better about dropping $349 on a speaker. 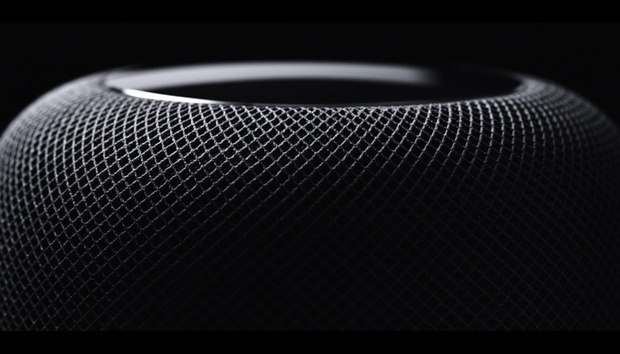 In fact, had all of the features above been in at launch, I think we’d be hearing a different story about HomePod sales. I’m convinced Apple did irreparable harm by keeping these features sidelined for so many months, as Apple of all companies should know the importance of first impressions. 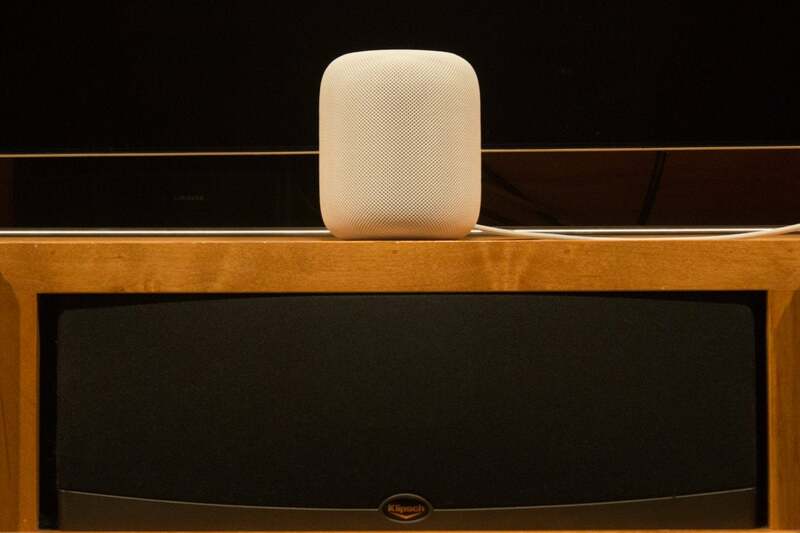 Next to rivals, the HomePod looked like a loser with a nice voice and a pretty coat. Even now, it lacks that special Apple something. And I know it’s still not what some people want it to be. It won’t play games like Alexa. It’s not as good at delivering answers to specific question as Google (thanks in part to Apple’s otherwise commendable privacy focus). Annoyingly, it still can't distinguish between different voices. For that matter, Siri is still kind of awful at understanding me compared to Google Assistant, so it’s a little like living with someone who doesn’t fluently speak your language. It can be endearing, no doubt, but in the wrong moments it gets frustrating. The new features push me closer toward “endearing.” I still shy from calling the HomePod a “must-buy,” but I can say with some confidence that any buyer remorse won’t be as biting as it was just a couple of months ago. We chat more now. We spend more time together. Whatever troubles we have in the past, HomePod and I, we’ve left the worst of them behind us. And now, to my surprise, I find myself looking forward to what the future holds.